Brief Description: ***BRAND NEW*** The G-FTL85 rotary tiller is perfect for tilling and cultivating land, 0.85m working width and 90mm tilling depth. 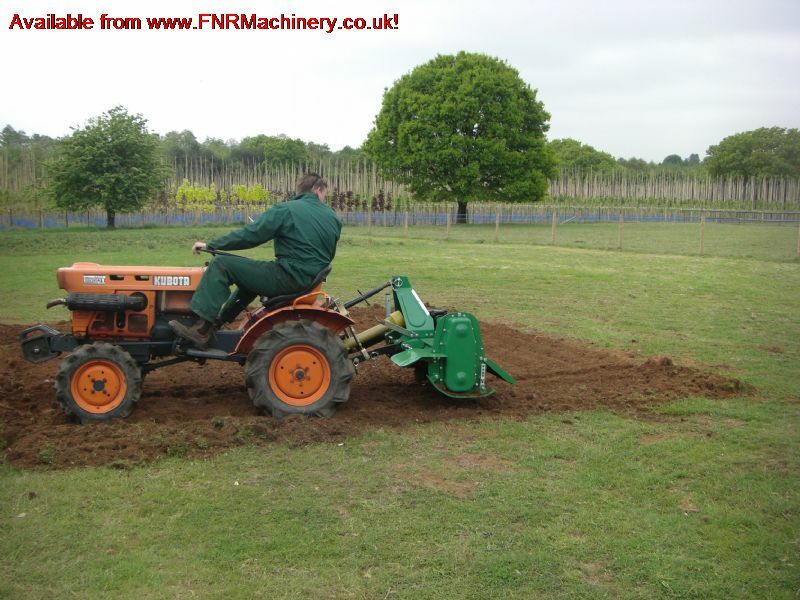 The rotary tiller is ideal for use around smallholdings, tilling and levelling the grounds. 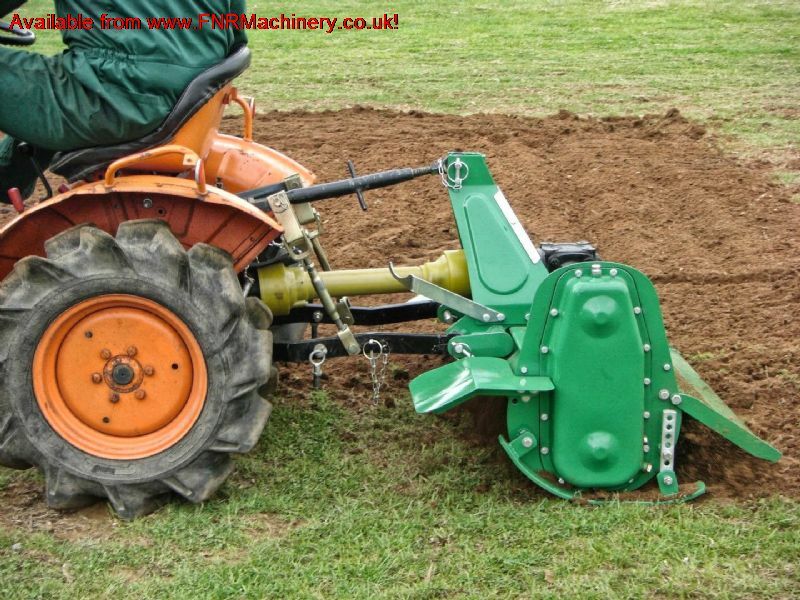 The implement can be attached to the 3 point linkage of a range of small or compact tractors. Perfect attachment for green areas rotovating and tilling of paddocks or pastures, with working width of 0.85m and tilling depth of 90mm. The heavier soil and debris is placed underneath the lighter tilled soil which then lays on the top of the rotovated surface. Recommended for tractors 12-20 hp. Implement weight 155 kg. Skids are height adjustable for flexible use and rear flap creates a smooth level finish to tilled soil. Reinforced design benefits from both strength and reliability.